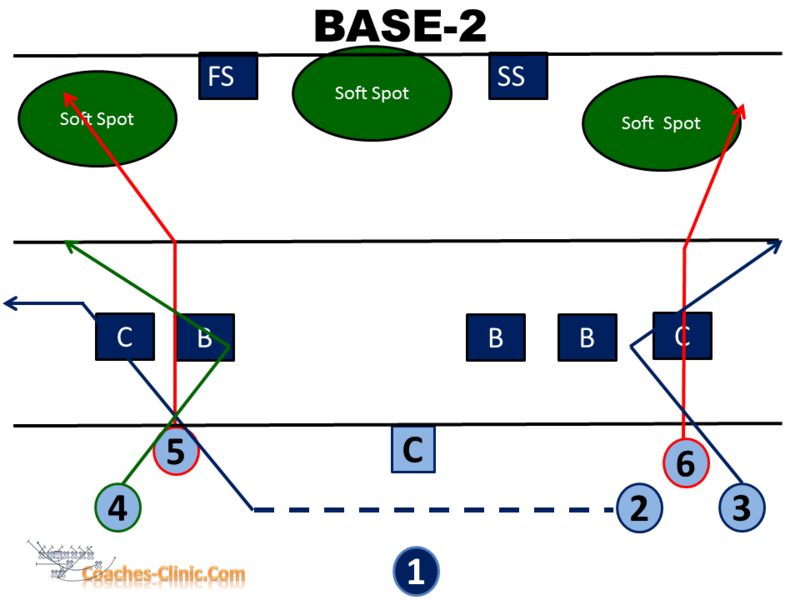 I have coached youth baseball for over 10 years and for many of those seasons I struggled with how to track who was where, when, and how many times one little guy, or girl was playing what position. The ages I am addressing in this post range from 3 yr old Tee ball through 9U travel ball. The reason for this range is because this is where most kids are being introduced to the game and really don’t have any ideas about positions they like. Yes, there will be that kid who does not want to be the catcher no matter what, but that is generally the exception. This time frame is the time for exploration and discovery. This time is also time for headache for coach if you are not prepared. You will have mom, dad, gramps and granny too, breathing down your neck because they came all that way and little Harry or Sally didn’t get to play first base as much as the other kids. What I have for you coaches is a simple method to track all of it and know what is coming next. We will start with the rotation matrix in this post. Another post will go into the benefits of batting the next kid up. The rotation matrix as I like to call it is a simple way to track who is going and who has already gone. The process is simple but takes a little bit of thinking to set up. A key to success for this is to remove all players from your bench spots the next rotation. Another point to consider is if you have all players playing it may be simpler to swap major locations and only rotate high action spots like first and pitcher. At the top fielding row header list all positions on the field according to classic baseball numbering plus the amount of bench spots. This list will be the amount of innings it takes to fully rotate all players through the matrix. Go to column 1 denoting the first inning and put numbers in counting down from position 1 all the way to your final bench spots. In the example below we started with 1 and finished at 13. At this point you have a choice to make. You can continue happily rotating your kids in a position circle from 1 to 2 to 3 etc. This is simple enough and will allow you to track where everyone is. It will do the job of keeping visiting grandparents happy with what is going on because they don’t feel that the next million dollar arm is being left on the bench for too long. The other method is the one I have below where a map of the rotation is needed to track who is going where next. Look at illustration B for the map. Illustration A the Rotation Matrix. As you can see from the rotation flow chart. 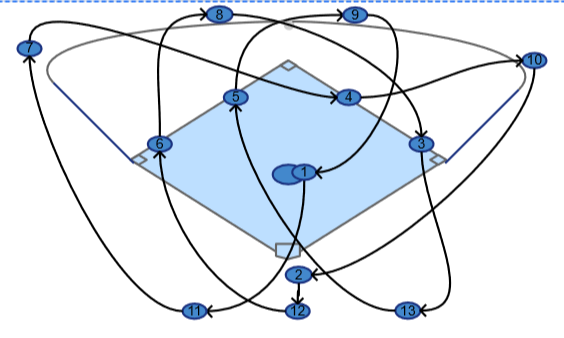 Each position, even the bench positions are listed on the diagram and numbered to correspond with a position on the matrix. Notice that when a player goes to the bench it is only for a single rotation. Additionally, remember that it is important to keep kids moving and energized. That is why they move in a web from infield to outfield to out of the game. I have found that this type of movement keeps kids excited about where they are going next. The benefits are many with implementing this type of system for youth sports. 2. Parents can follow along and you have a written record of where all players are going. 4. There is no argument about who is playing where next or complaints because the matrix ensures that all players will get a chance at all spots. 5. This can be delegated to a parent helper to keep the rotation. 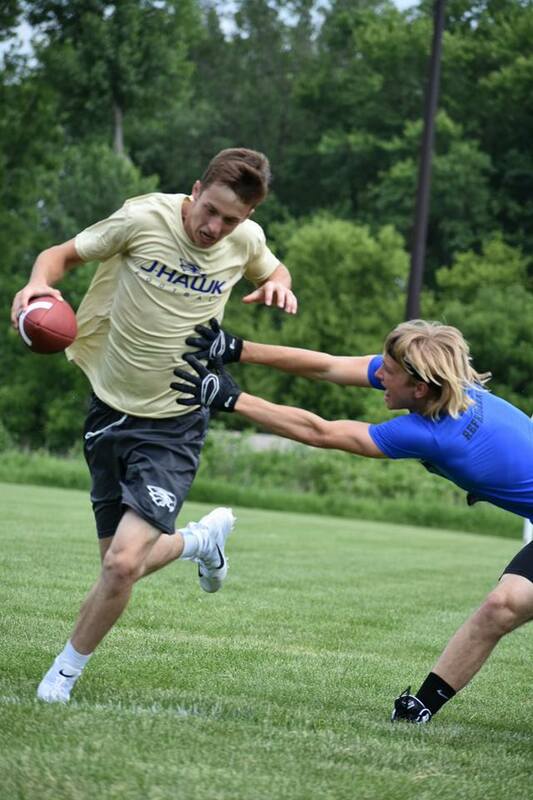 Former Detroit Lion, Chicago Bear and Iowa Hawkeye Defensive Lineman Mike Wells shares the recruiting story of his son Logan who has signed with the Air Force Academy. This is truly a recruiting story of finding your true fit, which is hard. Mike says it clearly that finding where you’re supposed to be is tough but worth it. There are several points that are important to take away from this story. Learn more about the types of schools that your ACT scores can take you to. This Prep Scholar site has been a pretty good resource for information about grades and ACT comparisons. Different schools have different entrance requirements. Mike mentioned a time where Logan asked the recruiter from an Ivy League school about chances of getting in with out football. The response was “If you couldn’t rush the passer we are not having this conversation”. To clarify, what he was saying is you need something more than just good grades to get into the most competitive schools. When you attend a camp on campus or a showcase understand that eyes are everywhere and they are evaluating you the second you show up. Parents don’t be shy about sharing information about your kid with perspective schools. Like mike mentioned several times his wife sent out about 1k messages before all said and done. I hope you enjoy Mikes story and heed his warnings. How does a corn fed Midwestern Iowa girl end up at University of Tampa in Florida to play the new sport of Beach Volleyball? The great part of this story is that you get to listen to the amazing details as told from her mom Rachael Overton. Learn how they were able to use her camp and showcase experience to gauge her interest in playing division 1 volleyball and what allowed them to find where their daughter would truly be happy. Tampa is far away from Iowa but close to her heart and that is what matters. The happy relief can be heard in this mom’s voice as her hard working daughter has found a college home that suits her academically and athletically. There are many resources out there that can provide information about colleges and their majors but it is important that you get a feel for the life of the school. If you can attend a camp to see if it is a right fit. E4 of recruiting real talk is down right real. Let it be known right here right now that we have clarified one simple truth about recruiting. You have to put it out on the field, and do what you need to do to show your skills off. This is the first and most important rule of recruiting. If all of your work and exposure show you not performing or having poor body language, recruiting will be very challenging for you. People notice people that perform when the lights are on. 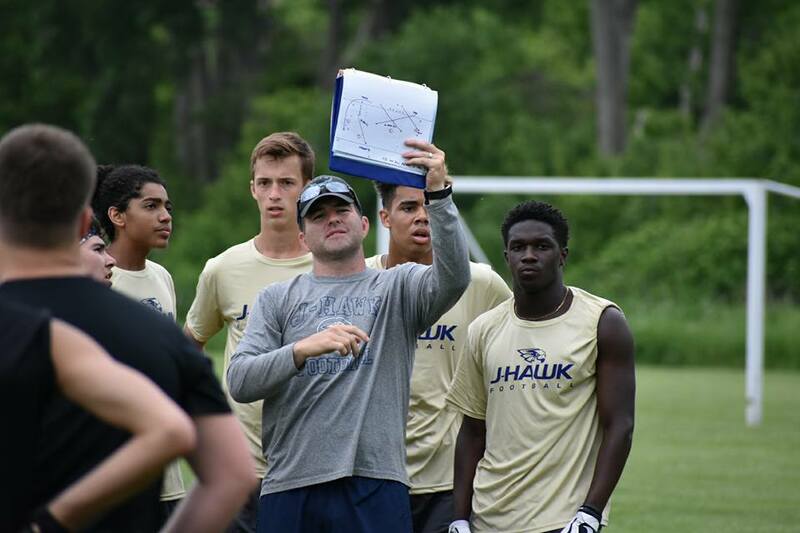 This is not to say that all of your hard work behind the scenes go to waste it just means you have to reevaluate the work and consider some changes if playing between the lines, is not translating from playing in practice. Alright, with that clarity out of the way lets look at the rest of E4. We answered 3 questions from parents in our mailbag section. JC and Trevor can’t wait to get more from our listeners. If you had a question for Christoph Trappe please let us know we will get it to him and share the answer. So how do we connect with you is what you are asking. Simple! Simply knowing this site exists is a step in the right direction for prospective students and parents. Lastly be on the lookout for future episodes. 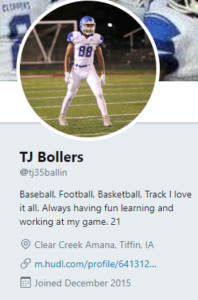 We have some great guests that you don’t want to miss including a Volley ball recruiter, NAIA baseball coach, Former Chicago Bear whose son just committed to Air force. and many more. Keep it real, and keep it about recruiting. For your twitter profile set up here are some tips. 3. Link should be set to your profile that would take a coach directly to you or your film. 4. Make the description fun and add your graduation year. 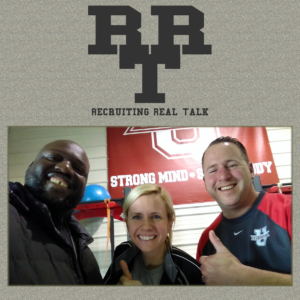 Episode 3 of Recruiting Real Talk digs deep into social media as a critical tool for taking your recruiting to another level. Social media guru and Authentic story teller Christoph Trappe, @ctrappe on twitter, joins our hosts Trevor Bollers, @hotfeetsports and JC Moreau, @thestrengthu for an information filled 15 minute discussion. Christoph was a scholarship football player from Germany who now is running www.authenticstorytelling.net and can be found posting on social media outlets about how to garner attention from fans and followers by sharing stories. 1. Share the story of your journey and who you are. Your success and your failures that drive you to future success. 2. Be careful who you follow and retweet. The content that shows on your feed could provide a negative perception of you. 3. The hot thing in the sports world is a behind the scenes look into the inner circle of the team or group. The people with good content normally get the attention. We also discussed the use of hash tagging and mentioning people that are around you. Social media is about the conversation. Interact with people around you in fun and inviting ways. Energize those around you and congratulate them on their success it puts you in a positive interaction that is not all about you. Exposure comes in many ways but today it is easier than ever to share who you are on the field with the world. 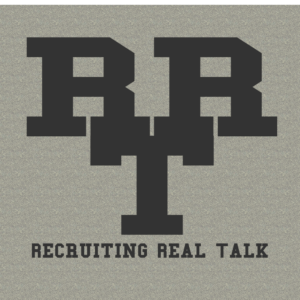 We dive into this topic in the second round of Recruiting Real Talk. Exposure some times is not cheap. There are Showcases, All star games, All America teams, Travel Teams, National Teams, Regional competition, National competitions. There are some sports where the only thing one can do is attend a competition put on by a governing body of the sport. Get out there and hit it hard is the response to the question of “what should I attend.